On Friday 5th May, 88 of us were treated to a moving and historical documentary film produced by a French film company about the part played by the Airborne Brigade and the Glider Force in the preparations for the D Day Landings in 1945. 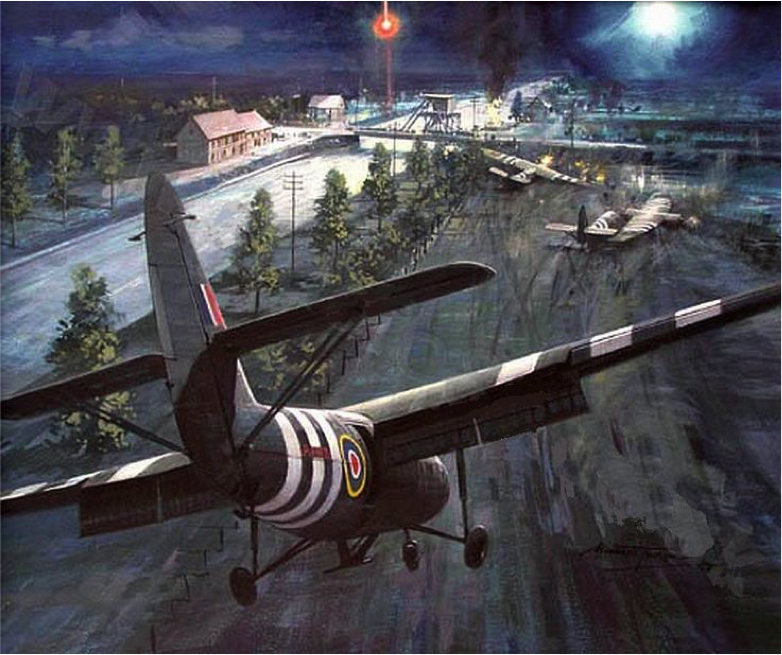 Using real wartime footage this documentary showed the immense bravery of the young pilots and locals who participated in the amazing feat of landing 3 gliders at nighttime in the field next to the Pegasus Bridge in northern France. This audacious mission was to prove vital in delaying the Germans’ advancement and response to the Allied forces landing on the beaches on D Day. The commentary included recent interviews with those surviving heroes, both British and French, and there were elements of great emotion as well as humour in the reminiscences given by these exceedingly brave men who were so young at the time. We were so fortunate that Malcolm Dean offered to show this film. He was able to give us great insight into the local knowledge and history having been a frequent visitor to the area in France close to the bridge, and has got to know the locals well, and illustrated how much they all still celebrate and honour the bravery of those men in the locality all these years on. The evening raised over £1000 for the Downton Moot and was thoroughly enjoyed by all. Cheese and biscuits followed by cake was served by the Friends of the Moot as well as beverages. We thank Malcolm enormously for generously facilitating this evening as a fundraiser for the Downton Moot: a resounding success.